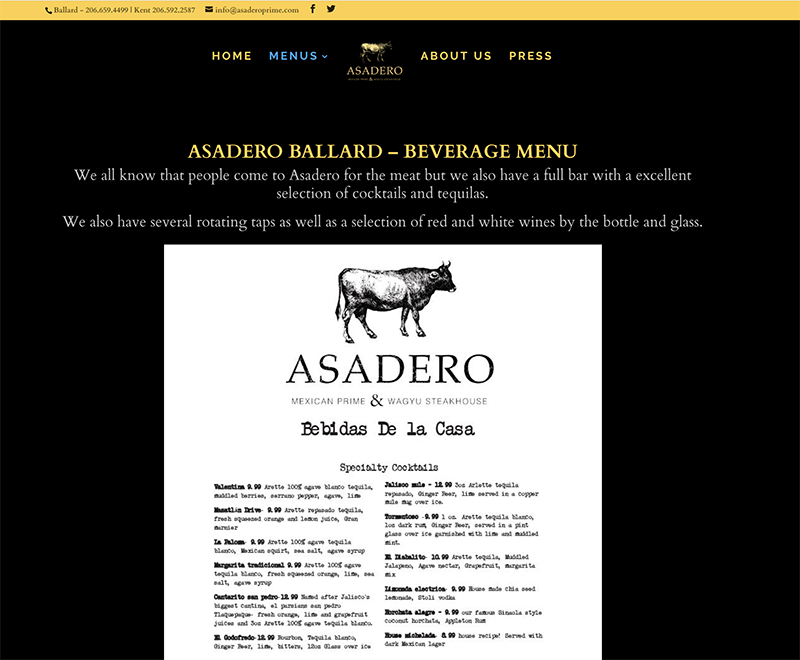 Asadero Prime started as a food stand in Kent in 2014 and was forced to close down after the venue it was housed in closed abruptly. But Asadero’s popularity would not let it die. 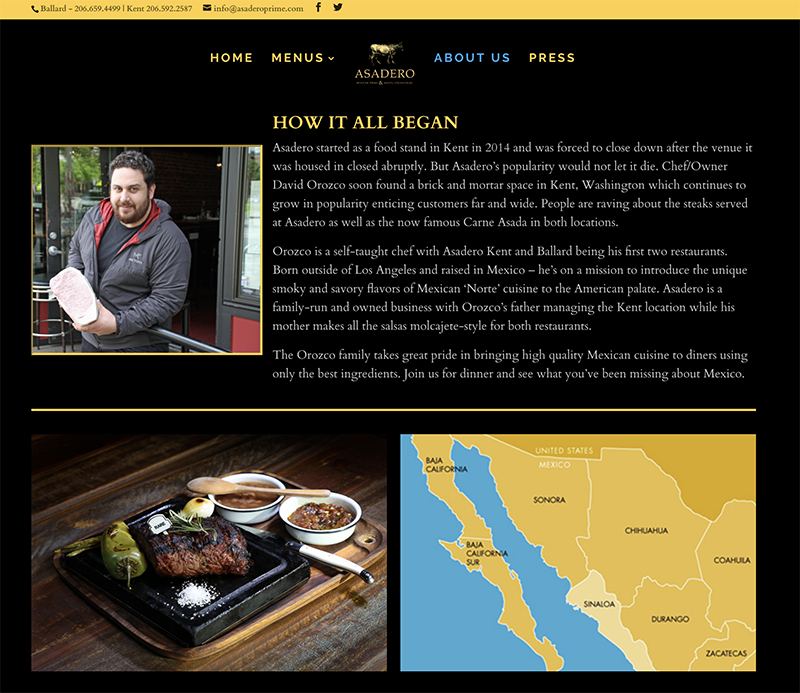 Chef/Owner David Orozco soon found a brick and mortar space in Kent, Washington which continues to grow in popularity enticing customers far and wide. 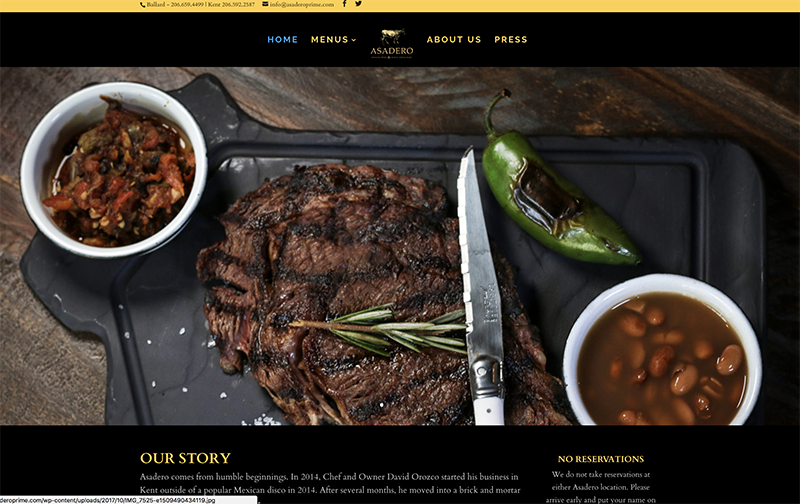 People are raving about the steaks served at Asadero as well as the now famous Carne Asada in both locations. In 2016, Pope’s Brand Media was brought in to help develop what David’s brand was going to be. We redesigned his logo and then proceeded to revamp his whole web presence and social media marketing strategy. His growth has been so explosive, that he is now opening a 3rd restaurant in Tacoma. Congrats David!